The KT Bank AG is headed by two experienced bankers with firm convictions and inter-coordinated expertise. 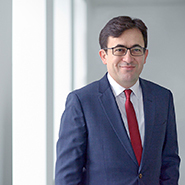 Ahmet Kudsi Arslan is KT Bank AG’s experienced Islamic banker from Turkey. For two decades, Arslan had been part of the Turkish parent bank Kuveyt Türk Participation Bank in Istanbul in several leading positions, e. g. in the wealth management and private banking and in the corporate & commercial credit management divisions, as branch manager, marketing coordination supervisor and financial analyst. 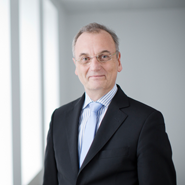 Torsten Lüttich’s decades of expertise in leading positions in the areas of credit management, foreign business, home savings, building-society products, and mortgage lending, led to his KT Bank AG appointment to adapt the Islamic banking model to Eurozone market standards. Compliance and Islamic Compliance are directly subordinate to the Management Board.